Pampered Pirate: The Ultimate Getaway! If you've been dreaming of a getaway with a group of friends or family, well here is a great and unique idea! 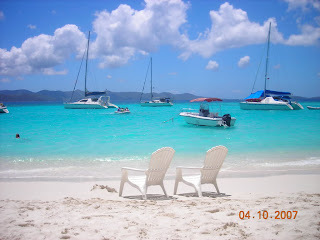 Have you ever thought about chartering a sailboat in the tropics? Well, maybe it's time you did. Even if you've never been sailing before, you can charter a sailboat. When chartering a sailboat, you can choose from sailing a boat on your own or hiring a captain to take you to the different islands. If you really want to "pamper" yourself, you can even hire a crew along with a captain to prepare meals for you and provide a luxurious sailing experience. When splitting the costs among several people, chartering a sailboat can be very reasonable. What better way to spend time with a group of friends or family than sailing between tropical islands and stopping along the way at beautiful anchorages and sandbars. 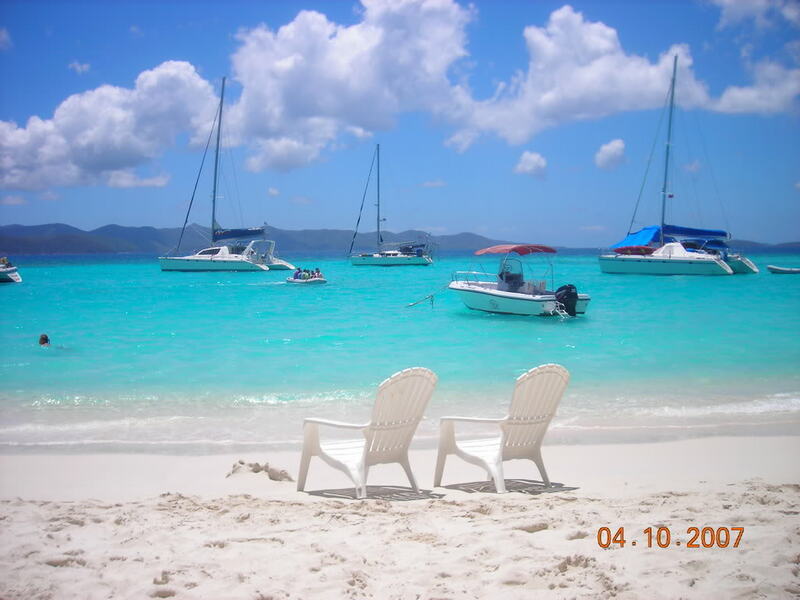 There are many great places to charter a sailboat, but one of the most popular places is the British Virgin Islands. These islands are not only absolutely gorgeous, but an easy and safe place to sail. If you want to snorkel or scuba dive, just throw the anchor overboard and jump into the clear blue waters! You're sure to view incredible marine life and coral while swimming along in the shallow, warm waters. If you want something a little more exciting, try windsurfing or kite surfing. The light winds and calm waters are a great place to try these exhilirating sports. When you're ready to plant your feet on land, the British Virgin Islands provide lush, beautiful scenery to explore. There are two national parks, one on Tortola and one on Virgin Gorda. After a day of water activities or exploring the islands, spend the evening enjoying great food and music at one of the many bars and restaurants. There are several beach bars, where you can enjoy a tropical drink and awesome sunsets. Some of these bars, such as the Soggy Dollar Bar and Foxy's are world renowned. Imagine leaving your cell phone behind, and only needing to pack a small suitcase with a swimsuit, flip-flops, some t-shirts and shorts. Add a little spending money, some sunscreen, and a camera and you're ready to experience a whole new world! So go ahead, plan a tropical getaway with a group of friends that will not only be beautiful and unique, but also unforgettable. You might even realize that you love to sail, and pick up a new hobby!